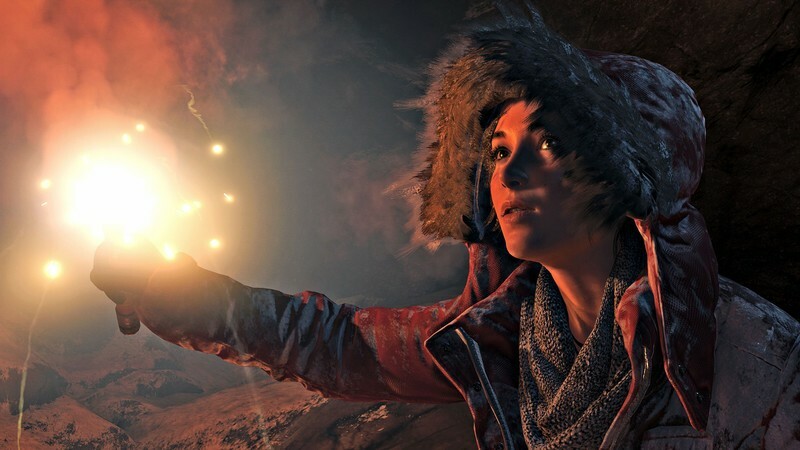 This September we’re going to be getting another sequel to the Tomb Raider franchise. This is the 3rd game in a rebooted series and I literally couldn’t be any more excited. This sequel takes place in the dangers of a deep jungle and, of course, a tomb with unknown dangers within. So, get your thinking caps ready for the puzzles and dangers that lie before you because it’s coming to PlayStation 4. It all started with a mind-blowing news release. In December 2017, Square Enix took to Twitter and gave us a massive teaser about how they were in the process of making a new game. They even went as far as letting us know that the release date and the official reveal wouldn’t be too far away from one another. It’s absolutely refreshing to get this hype about something and not have to wait over a year for the release date. The first trailer we got from Square Enix in March of 2018 didn’t reveal much information on what the game will actually entail. This video gives us a taste of the setting as well as the much-improved graphics of the overall series. So… if we’ve captivated you this far with information on the new Tomb Raider than read on to fill your brain with all the information we have to offer. Not just that, but if you want to secure your copy you can pre-order this title from the PlayStation Store for $59.99 and start playing on September 14, 2018. Shadow of the Tomb Raider follows the tale of the lovely Lara Croft and proceeds the story from Rise of the Tomb Raider. This time around she’s faced with the task of saving the world from a Maya apocalypse that threatens to destroy it. There is a very real supernatural feeling to the dilemmas brought to us because of this. 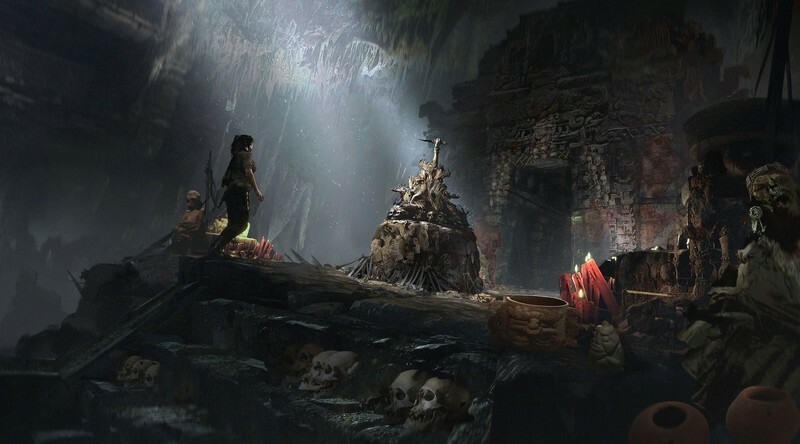 The trailer shown at E3 shows quick glances of ritual sacrifices, as well as Lara herself, explaining vivid visions of the future. Trinity is once again the villains of the show. This terrible group of ancient and militaristic people is out to claim all the wonders of this world and lock them away from everyone. Unfortunately for our hero most of her actions of suppressing them have terrible, terrible consequences. This year during E3 we received more information regarding this well-anticipated game along with a brand new trailer I’ve shown above. Emotions are high as the crowd is left wondering just how much of this deviation is actually Lara’s fault for perhaps taking a step too far in her efforts of preventing Trinity from getting their hands on something they never should. On the official release page Square Enix reveals one small sentence that only solidifies my estimation. 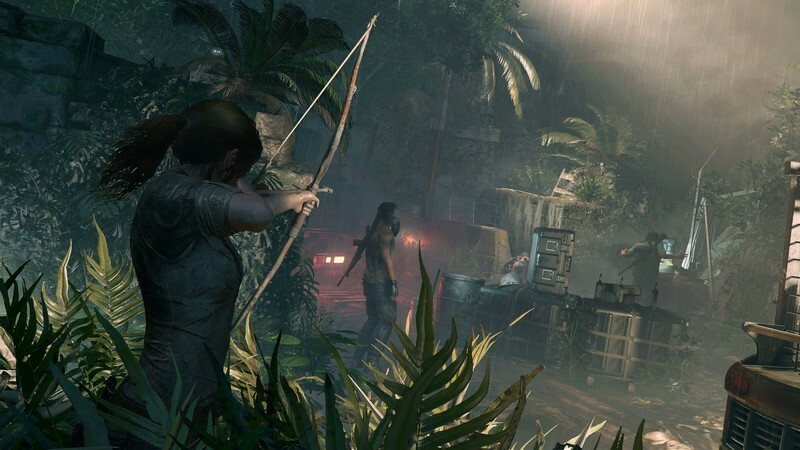 Lara must master a deadly jungle, overcome terrifying tombs, and persevere through her darkest hour. “Darkest hour?” Oh no. Don’t do my heart like this. I can’t handle it. Judging from the trailers and screenshots available currently, we can see the general premise of the game will remain the same. There will be puzzles, combat, sneaking and all sorts of hard thinking required to get through this game. We also see the usage of knives, a bow and arrow and the iconic grappling hook in play during these sneak peaks. So get ready to duck, tumble and assassinate your way through this title to help Lara prevent anyone from altering the course of humanity. Our team has created a diverse set of skills, combat techniques and equipment for players to master, and they’ll certainly need them if they hope to survive the deadly jungle environments and tombs. I don’t know about you, but they’ve got my vote (and my pre-order.) 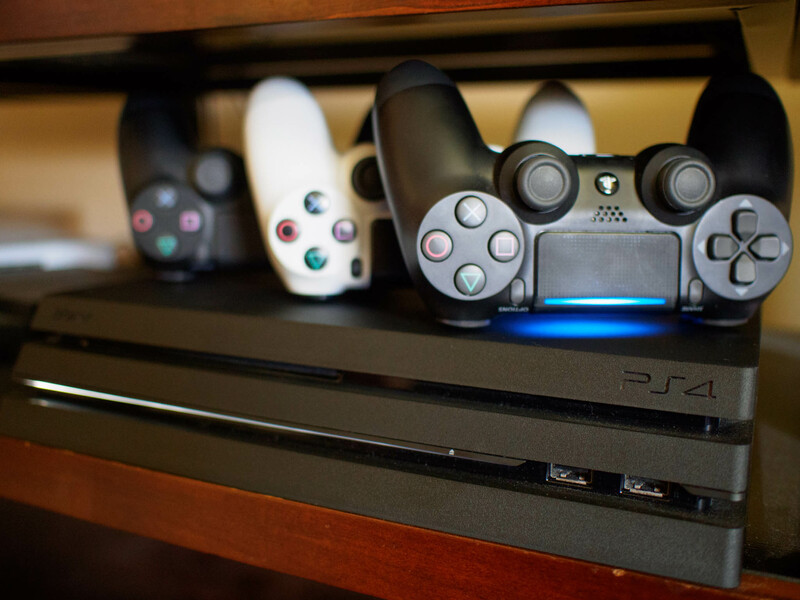 And, last but not least, this title will have the option of enhanced versions for the PlayStation Pro. So far you can preorder Shadow of the Tomb Raider from the following stores. You get a limited edition Steelbook, three art cards, and the Season Pass, featuring 7 Challenge Tombs, each with new narrative side missions, as well as 7 Weapons, 7 Outfits, and 7 Skills. The Croft Steelbook Edition also delivers 3 additional weapons, 3 additional outfits, and the Original Game Soundtrack with this $89.99 purchase from Amazon. This includes a Steelbook and three art cards – while supplies last for $59.99 on Amazon. Includes 7 challenge tombs, 7 weapons, outfits, and skills, multiple narrative side missions, 1 of each of the above will be exclusive to the Season Pass. Following a first Weapon/Outfit drop on Sep 14th, Season Pass content will release on a monthly basis starting in October 2018. This is $29.99. This copy of the game is available for $59.99 at Game Stop. The Shadow of the Tomb Raider Digital Deluxe Edition includes an additional weapon and outfit, and the Original Game Soundtrack. Pre-Order Shadow of the Tomb Raider Digital Deluxe Edition now to receive 48 Hour early access, and an additional Skills Booster Pack. $69.99. The Shadow of the Tomb Raider Croft Steelbook Edition includes a limited edition Steelbook, three art cards, and the Season Pass, featuring 7 Challenge Tombs, each with new narrative side missions, as well as 7 Weapons, 7 Outfits, and 7 Skills. The Croft Steelbook Edition also delivers 3 additional weapons, 3 additional outfits, and the Original Game Soundtrack. 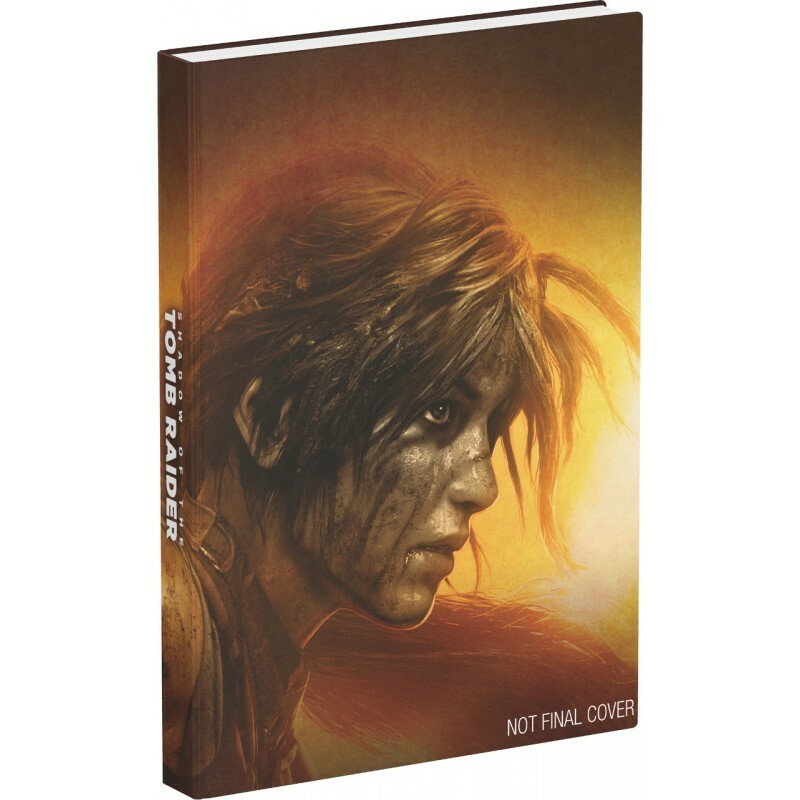 Pre-Order Shadow of the Tomb Raider Croft Steelbook Edition now to receive 48 Hour early access, while supplies last. $89.99. Pre-Order Shadow of the Tomb Raider at GameStop and receive an Exclusive Tomb Raider Flashlight! While Supplies Last. Not valid on Digital. You can always choose to just get your copy of the game right off the PlayStation Store for $59.99. booster Pack, a Season Pass, 3 additional weapons & outfits and a digital OST. If you pre-order this will also come with 48H early access and a PS4™ Theme. You can also pick up the Tomb Raider: Shadow of the Tomb Raider Collector’s Edition Guide for $39.99 at Game Stop. ← BlackBerry Key2 vs. Galaxy S9, S9 Plus: Can physical keyboard trump top devices?